Chances are you are nearing the point of blogger burnout. Let’s face it. Blogging can be addictive and develop into a major timesuck. All the perks of being a book blogger (all those free books!) do come with a price – running a blog can be very time-consuming. There is always something to do – another book to review, a design to tweak, a feature to set up, emails to respond to. In fact all the things you need to do to keep your blog on track will expand to fill whatever time you give it. And the bigger you get, the more intense the pressure will become to be ON all the time – adding new posts, being present on social media, keeping up with what everyone else is reading. So what can you do to keep your blogging in perspective and under control before it completely takes over your life? Because blogging comes with a never-ending list of tasks, put a time limit on your working time. Acknowledge that it is a balancing act that you may never get perfectly right. Create an editorial calendar to help you plan ahead and use the tools your content management system (like WordPress or Blogger) has to schedule posts ahead of time. There is nothing like having weeks of content ready to go to take the pressure off. At the moment posts for We Heart Writing are ready to roll all the way through to late September. Being ahead of the game will keep you in the game, with less stress, for longer. You particularly need to keep a calendar if you run blog tours. Schedule the post for the particular date as soon as it is booked. Use the author’s name as the headline and save it as a draft until the content has been added. Then you can see at a glance which dates have been booked and which posts are coming up and which ones are still outstanding. Consider keeping strict office hours, like you do in your real job. Spend time with your family then log back on for a set period of time after the kids have gone to bed. Set yourself a task to do and when you have finished it, log off. Stay offline a few times a week – perhaps you’ll decide to always keep your weekends free of blogging obligations. Maybe you’ll never be online on Wednesday evenings because you have bootscooting class instead. Don’t post too often – too many will put readers off since now they are feeling the pressure of trying to keep up with all the information you have shared and start to ignore your posts. Frequently consider your niche and your audience – you may be wasting time on areas that aren’t paying off in terms of readership or your blog goals. Look at your stats to see which posts are the most popular, which Facebook updates get the most responses. Spend your time on the things that matter most – to you and your readers. Maybe no one’s reading your book news but your cover reveals and weekly discussion post are super popular. Nuff said! You can aimlessly spend hours on there every day. If you waste even one hour a day on cute kitten photos and monitoring an author’s live tweeting of a reality TV show, that’s 365 hours a year gone!! Consider what you are using social media for – connection, information, promotion – and get on, get what you need and get off again. Think about which platforms serve your needs the best. 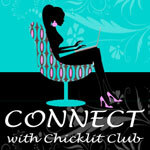 Chicklit Club is on Facebook (my favourite), Twitter (dragged there reluctantly!) and Google+ (have you seen how it sends your posts soaring up the Google ranks!). Pinterest was dabbled with but like Instagram, we just don’t generate the sort of original and eye-catching photos that these sites rely on. Consider where your target audience is hanging and make sure you have a presence there. You don’t need to be everywhere nor be there all the time. You log on as you crunch into your Cornflakes to discover you have 50 incoming emails. Indeed the volume of emails a blogger must deal with daily is possibly one of the biggest sources of stress. Don’t use your inbox as storage. Instead set up folders so you can move any emails that may need to be referred to in future. I hate seeing a mass of emails in my inbox so I have folders for everything from unclaimed requests and competitions to Connect posts and interviews. Only the things I still need to respond to or process are left in my inbox. Otherwise everything else is safely stored in folders or deleted. Don’t check emails whenever they pop up as you will lose your train of thought about whatever you’re working on. Instead schedule blocks of time for messages. I ensure I make time to at least deal with emails first thing in the morning before work (good evening America), then again when I get home (good afternoon England). Aim to respond to emails within 24-48 hours. Then either delete, delegate, defer or do. Change your social media settings so they don’t send you emails for notifications. I did this before going overseas once so my inbox wouldn’t explode – best decision ever. Develop policies to cut down your email load. You may consider a review policy which informs people you will only respond to an review request if you are interested in the book. 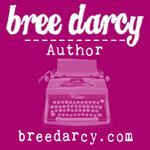 I also rarely contact authors and publishers to let them know when we have posted a review, interview or guest post. And when I forward out a request to our team of reviewers, I only email back the person who has been chosen to do the review. These guidelines save me umpteen emails every single day. Another big stress factor in the life of a book blogger is the number of review books they have waiting to be read – both on their bookshelf and their e-reader. With more and more bloggers arriving on the scene all the time, the pressure is ramped up continually to keep up with the crowd and review all the new titles by their week of release. Give yourself permission to read what you want to read, when you want to read it. The last thing you want to do is turn your much-loved hobby of reading into a chore. Keep on top of review copies by using a spreadsheet to keep track of release dates. For those who manage a team, you can add a column to record who’s reviewing that title. At Chicklit Club, we use a more scientifically imprecise method of a private Facebook group. Yet I still lose track all the time! Be careful what you promise when you accept a review copy. Consider putting a policy in place – accessible from your navigation bar – explaining that you can’t promise to read every book received. And that you can’t guarantee a date for publication of your review either. Agreeing to review books as part of a blog tour can be fraught with danger, forcing you to stay up all night trying to finish a book in time for your scheduled date. Don’t tie reviews into a blog tour, instead accept guest posts, Q+As or extracts, and then publish your review at a later date – when and if you get around to it. If you are worried that you’ll never get accepted on another blog tour, this has always been our policy and it’s never stopped us from being signed up to plenty of tours. Consider carefully where else you plan to publish your reviews, such as GoodReads, Amazon etc as each extra site adds extra work for you as you need to load or link to your reviews. If you find you haven’t got time to read anymore, set yourself a challenge of maybe 50 pages a night before bed. Or get in your daily quota by jumping on an exercise bike with a book. Or read by taking public transport to work rather than driving. After a week you should have finished a book. Believe it or not, the world doesn’t stop turning if you don’t update your blog for a while. Just like you do for your normal job, taking regular holidays from your blogging is vital to keep you refreshed. Inform your readers you are taking a break and when you expect to be back so they know you haven’t just disappeared off the face of the earth. Have faith in your stats not dipping too much. 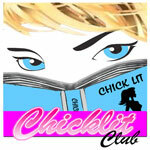 It is a much-puzzled-over fact that whenever Chicklit Club takes a long break, our numbers GO UP!! BY A LOT! That’s certainly one way to encourage me to take more time off! If you really can’t bear not updating your blog for an extended period, consider asking a blogging buddy to take over, schedule guest posts, cut the frequency of your updates or relink to old content. But seriously, JUST TAKE A BREAK! Building a team of contributors has probably been my biggest saviour and enabled Chicklit Club to grow to its current level and add two associated blogs without me losing my sanity. My trusty band of reviewers regularly send in book reviews so it really doesn’t matter if I personally go a few weeks without finishing a book. If you want to go bigger, without pouring in heaps more time, then expanding your team with responsible and reliable contributors is my number one recommendation. Before you throw your doors open to outsiders, though, first consider the type of person you’d be happy to work with and how you will manage a team. I still oversee and edit every skerrick of information that is posted on our sites yet prefer our reviewers to deal directly with authors and publishers. We also do only one intake of new contributors each year, so no thought has to be given to the process until May-June each year. Find a blogging buddy or tribe to share your trials and triumphs. They can help you solve a technical issue within minutes or advise you which book is best avoided. They can boost your mood when you feel things are getting on top of you or you simply have had a bad experience with someone. Never argue with an idiot, especially on Twitter – and yes, just like the general community, the book blogging sphere has several. Instead find someone to vent to about whatever is troubling you – privately – and then forget about it. You’ll save yourself hours! And your reputation will thank you for your restraint too! Do your reviews need to be as long and detailed? Perhaps your readers are skimming over a lot of what you are writing and just want the basics – what’s it about, did you like it and why. Aim to write your review when the story and your response to it are still fresh in your mind. Use an index card as a bookmark and note down your thoughts as you are reading – it will speed up your review writing if you don’t have to continually flip through a book to remember a character’s name or occupation and what happened next. Vary up your reading – don’t always read review books, choose things that interest you whether they fit your blog or not. If you are only reading review copies, essentially you are letting publicists dictate your reading choices. Not only that, if you read what everyone else is reading, your blog will start looking like everyone else’s. Don’t lose sight of your original goals for your blog – don’t get sucked into making it bigger and better if it means the rest of your life suffers. Regularly monitor the impact blogging is having on your life. If you haven’t seen your friends, a movie or the gym for months, it might be time to re-engage with the real world and recharge your batteries. Most important breathe, have fun. Remember it’s not your job so no one will fire you if you don’t post every day. And be comforted by the fact that every blogger has felt like this at one time or another. Stephanie Pegler is the publisher of Chicklit Club, Connect and We Heart Writing, who is indebted to her team of contributors for enabling her to have some sort of outside life. She’s just about due another break. Bookmarked. Much of this is also relevant to authors getting overwhelmed with marketing tasks and maintaining their online activity.